Comments: This is a relatively new ground cover introduction. The main feature is the strong variegation in the foliage -- yellow center with thin green margins. It can be used as a relatively small shrub or as a ground cover. Provide a moist, fertile, well drained soil and full sunlight to partial shade. 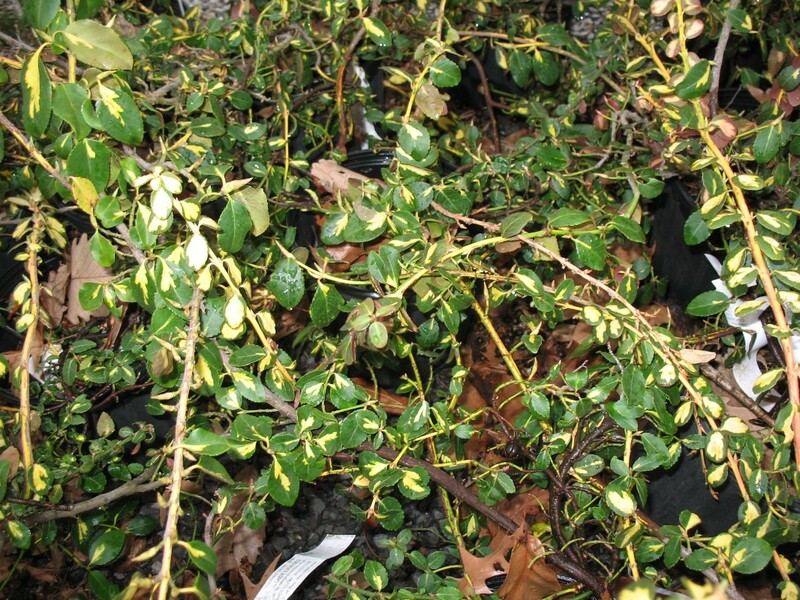 As with most of the euonymus species, they can have troublesome pests in the Lower South but seem to grow better in the more northern parts of the zones they are listed for.